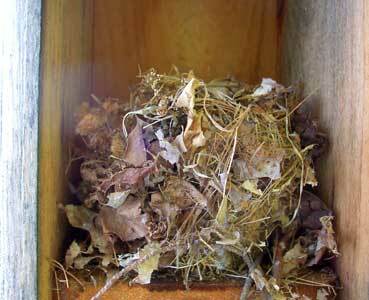 Bluebirds aren’t the only cavity nesters that may want to take up residence in your nest boxes. Some of the other species you may see are depicted below, with a brief description of each, especially as they relate to bluebirds. The slide show next to each description contains just 2-4 photos of each species for identification purposes. The link beside most of the species’ slide shows will take you to a gallery with more photos of that bird. 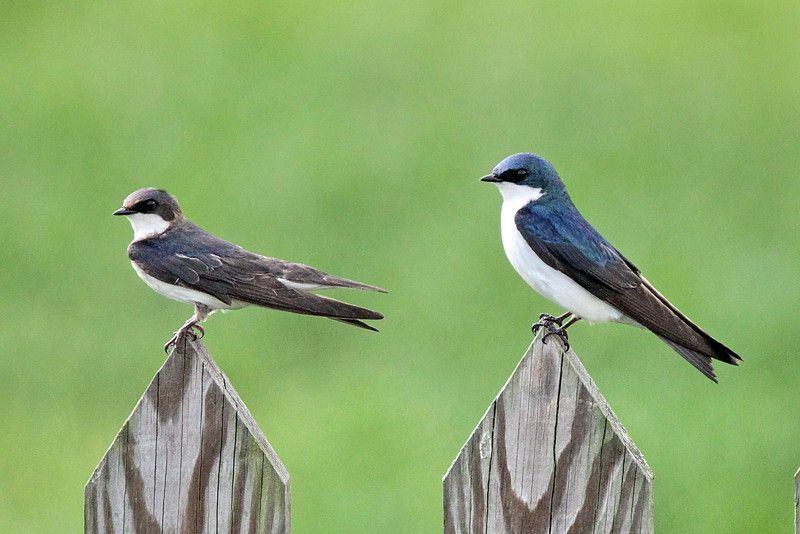 Tree Swallows are small migratory birds that breed in North America, and winter in Mexico, Central America and the Caribbean. They are irridescent blue -green on their upper body, and white below. 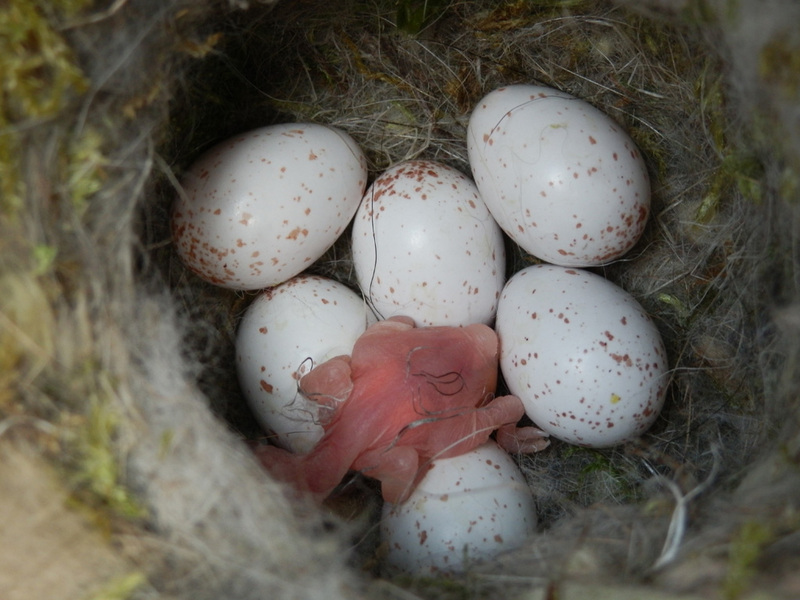 Like Eastern Bluebirds, they are secondary cavity nesters, dependent on pre-existing nest sites like nest boxes. Their diet consists mostly of insects. Where Eastern Bluebirds and Tree Swallows are both present, nest boxes may be paired to host both species. The 5 1/4″ Black-capped Chickadee is a favorite inhabitant of nest boxes. 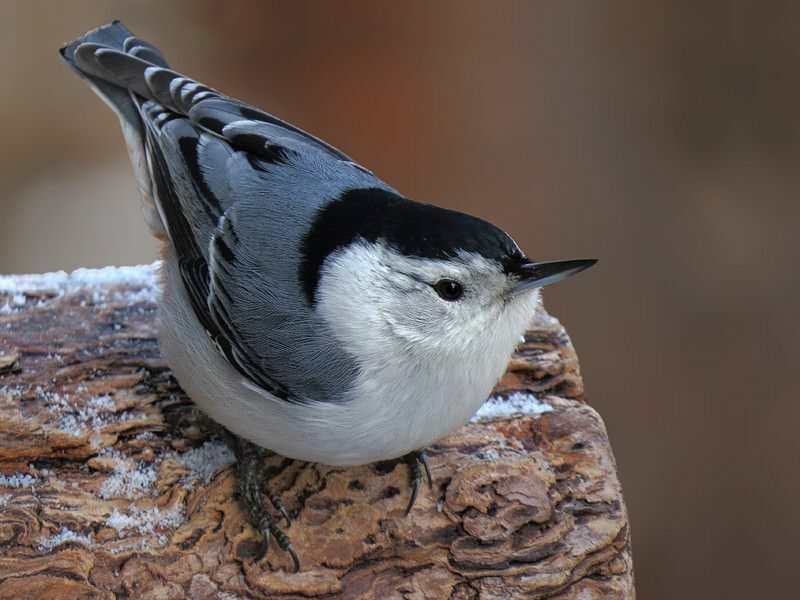 They are commonly seen in any wooded habitat and readily visit yards when bird feeders with seed or suet are put out for birds. It has the familiar call of chick-a-dee-dee-dee. It is common in open woodlands, clearings and suburbs. They are seen year round in New York State. They will use nesting boxes or cavities in trees. Although bluebirders try to attract bluebirds to their nest boxes, they are always delighted to have chickadees select a box for nesting. 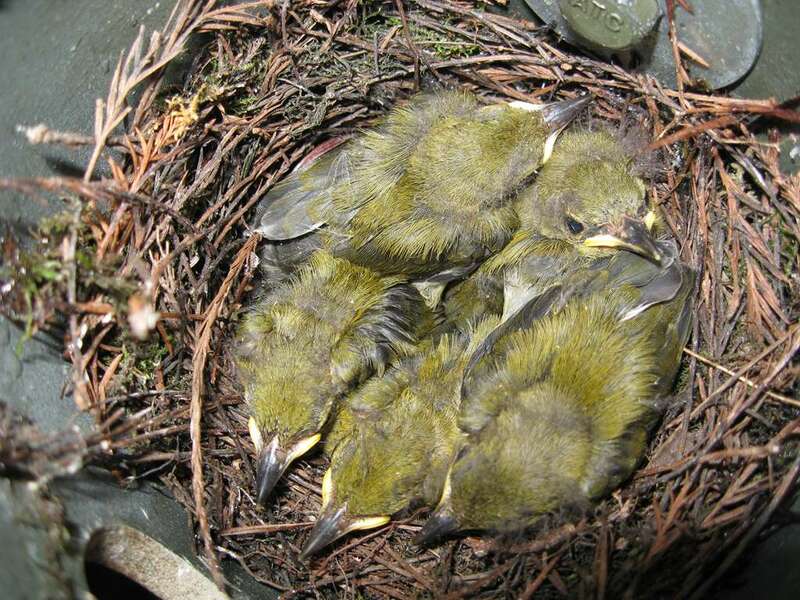 Their nest is made with moss, plant downs, fur and feathers. Normally they lay 6 to 8 white eggs lightly speckled with brown but 10 is not unusual. Their plumage is a black cap and black under their chin with gray back, wings, a and white breast. 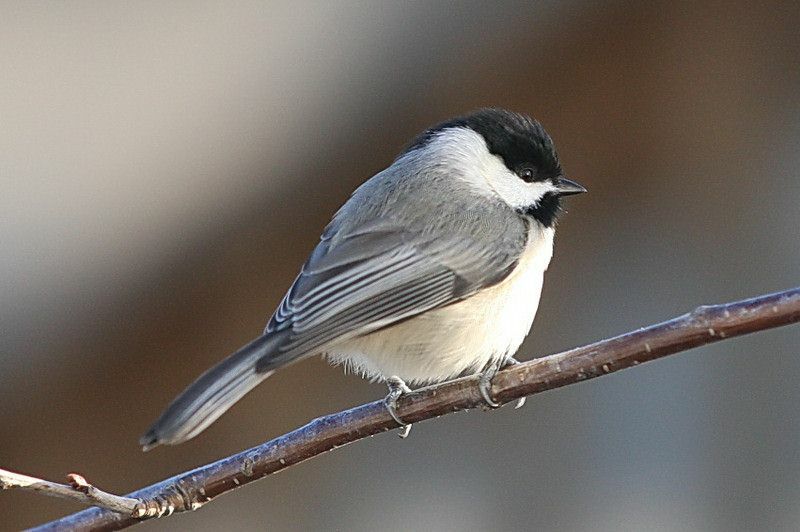 See more photos of Black-capped Chickadees. 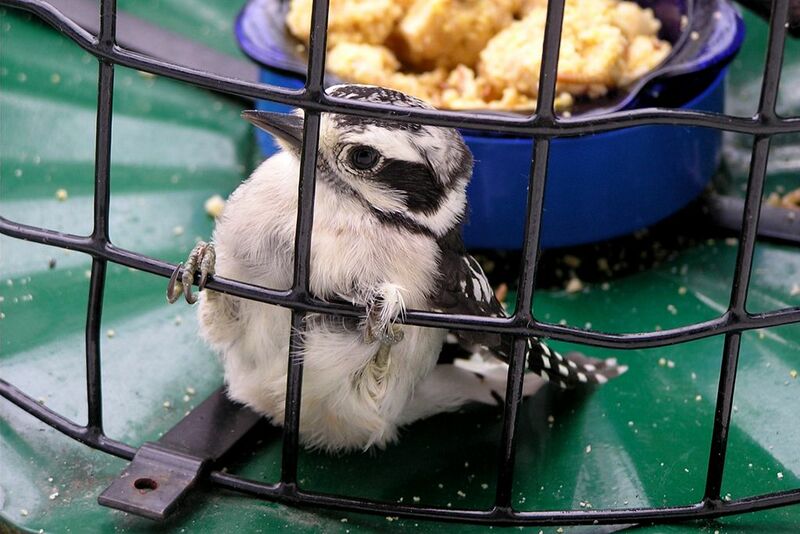 The Downy Woodpecker is a cavity nester that usually does not nest in nest boxes but in natural cavities between 8 and 50 feet from the ground. 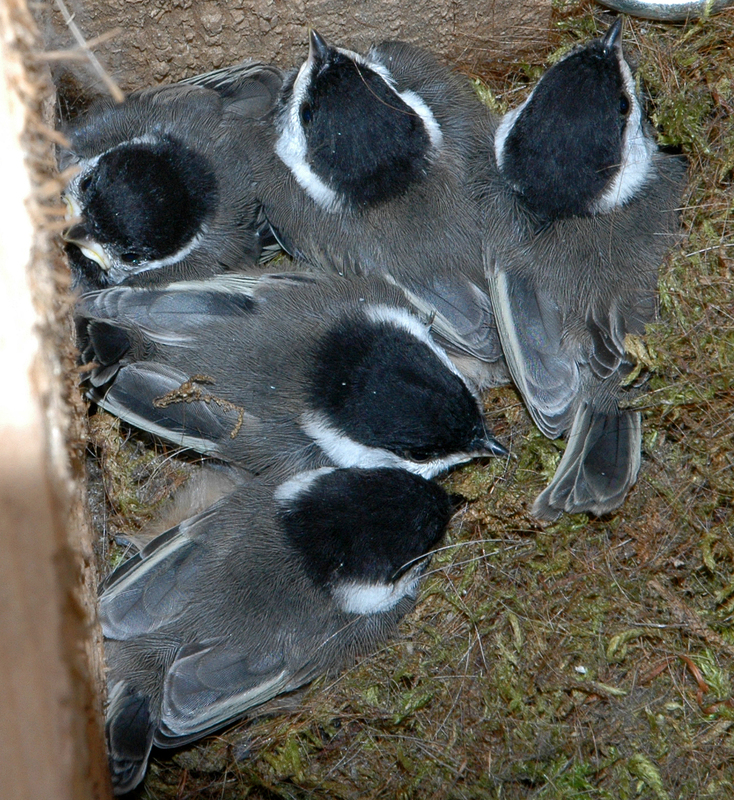 However, during cold winter nights it may roost in the nest boxes. 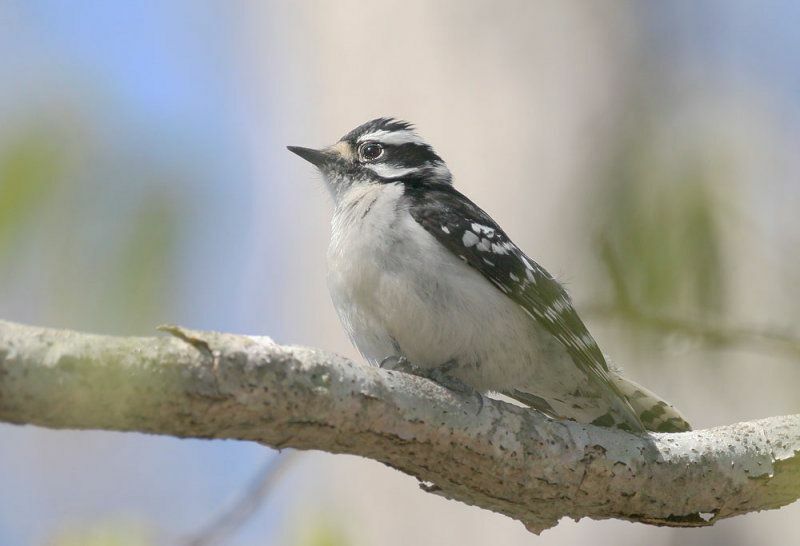 The Downy is the smallest of the woodpeckers in this country. It is 6.75 inches in length. They are black and white striped with the male having a bright red spot on the nape. Their eggs are white with usually 4 or 5 in a clutch. 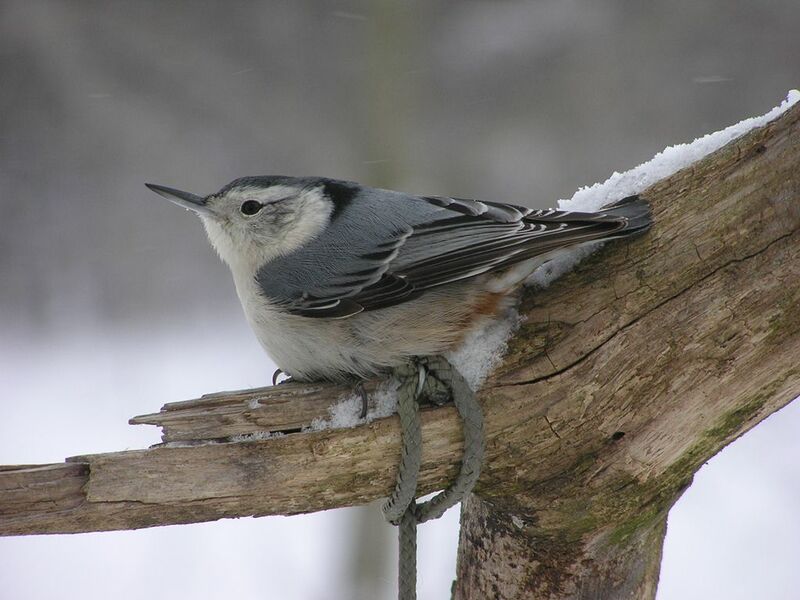 If you see one roosting in a nest box during cold weather, you might want to put some wood shavings at the bottom of the box to prevent the bird from making its own roosting bed by pecking at the area around the inside of the entrance hole resulting in an enlarged hole. 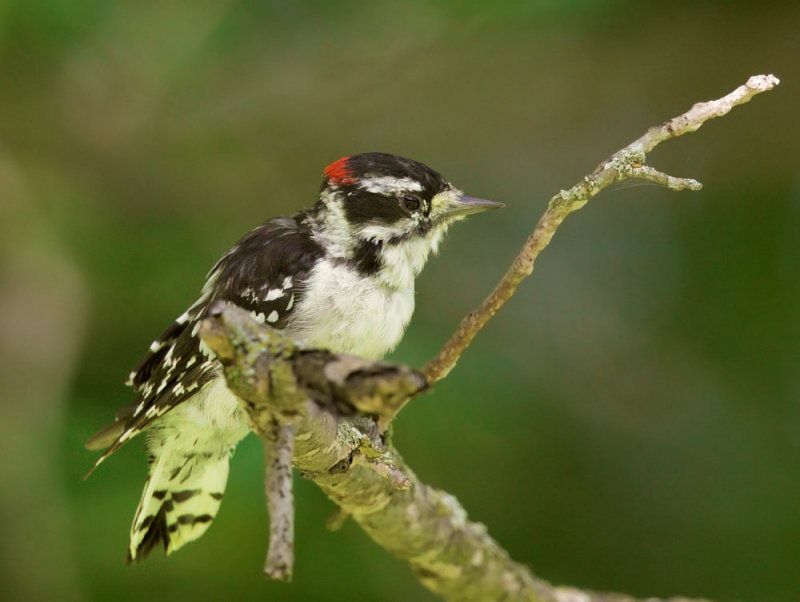 See more photos of Downy Woodpeckers. 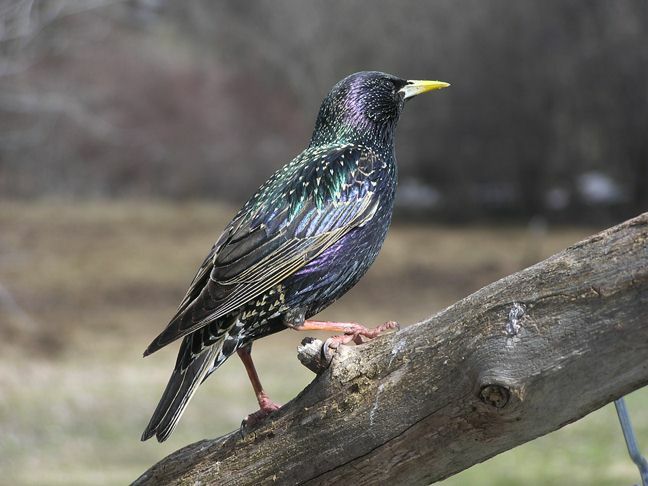 The European Starling is another non-native bird. It is not protected by Federal law. It was introduced in New York in the early 1890’s and soon spread across the continent. 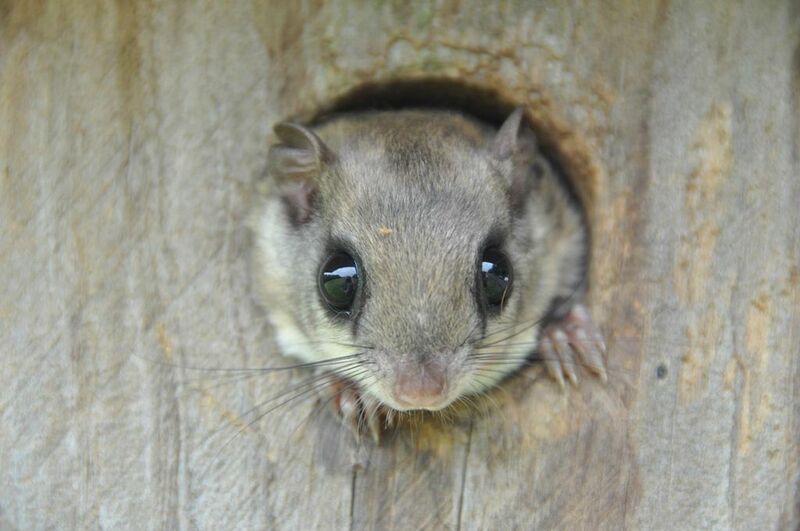 It competes with other native birds for natural nesting cavities and nest boxes erected for native species. It is 8 1/2″ in length. In the spring its beaks are yellow; other seasons a dusky-brown. 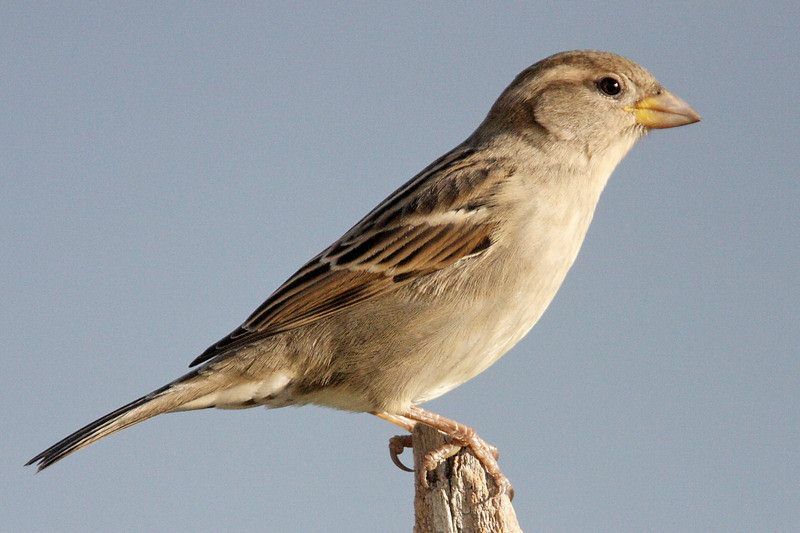 The plumage from fall to spring is blackish overall with small white spots. Their breeding plumage is a greenish-black. Their call is a drawn-out whistle. They are residents of New York State year round. It is important that bluebird nest boxes have holes of exactly 1 1/2″ as the starling cannot access the box with that size hole. Any larger and they will remove chicks, eggs, and take over the box. 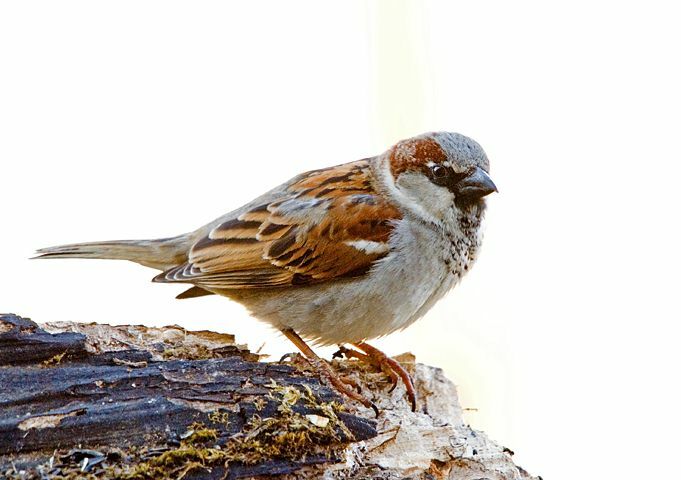 The House Sparrow is a non-native species and is, therefore, not protected by Federal laws. It is an invasive species, that if not controlled, might take over all of the nest boxes provided for bluebirds and other species. It is was introduced in the NYC area in the mid-1800’s and rapidly spread across the country. 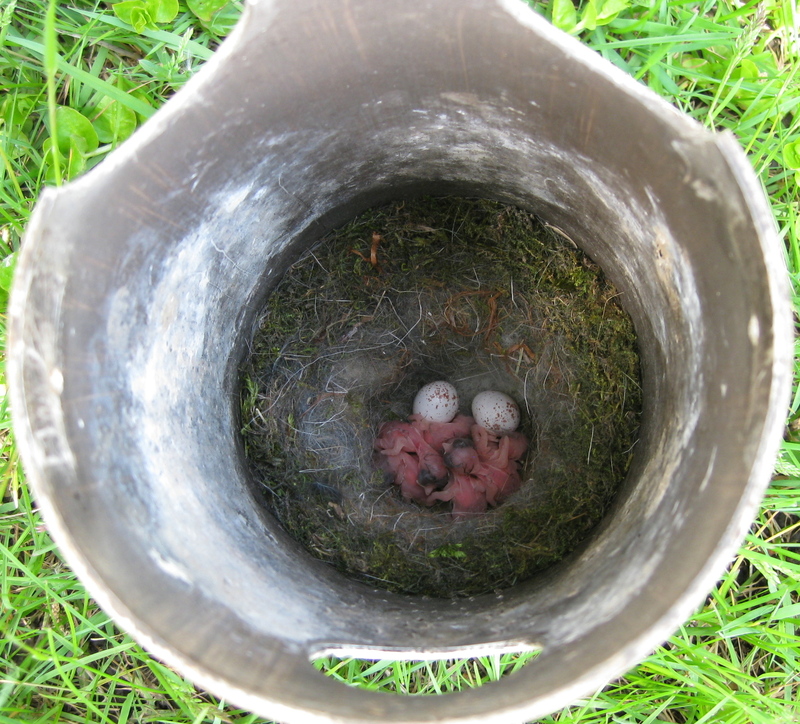 It will nest in any sheltered cavity, including nest boxes and commercial signage. It is a brown bird, about 6 1/4″ long with a heavy-duty beak which creates havoc to other nesting birds. 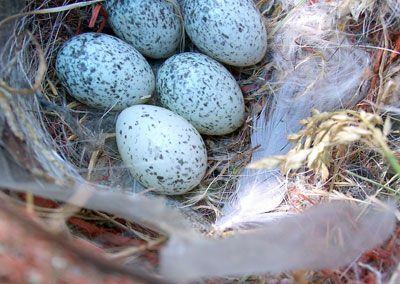 It will readily break eggs in a nest, kill chicks and adults in a nest box, and even build its nest on top of broken eggs or killed birds. This bird should not be allowed to nest in nest boxes. 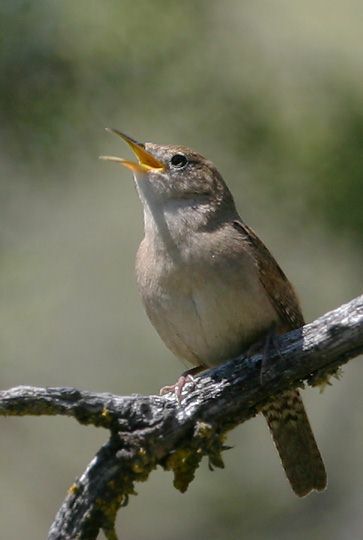 House Wrens are migratory birds about 4.75″ in length with a song of bubbling notes. 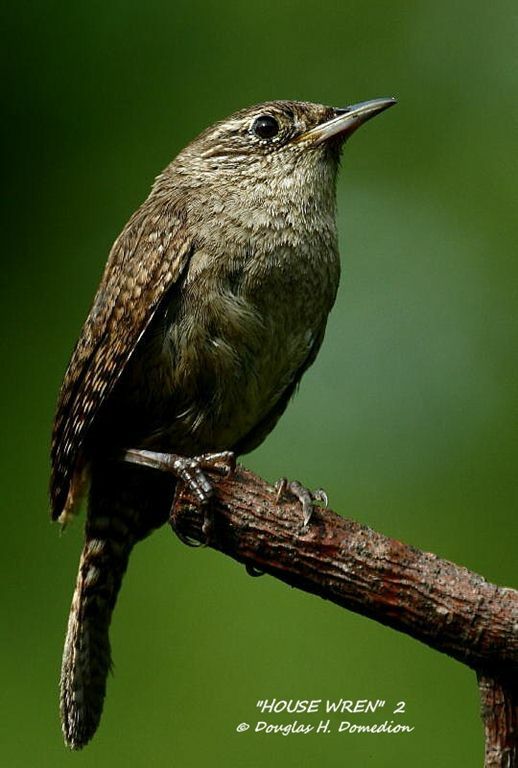 It is a persistent singer, but is not considered to have a beautiful song. Wrens are chatters and often scold. The adults, both male and female, are dull gray-brown above, dull white below, with a long tail. Their relationship with bluebirds is competitive. Under wild conditions they will nest in a tree hollow or old woodpecker hole. However, they now compete with other cavity nesters for the boxes we put up. 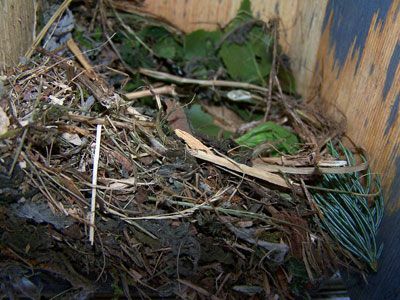 Sticks, grass and other debris are stuffed into the box and then it is lined with softer material for the nest cup. 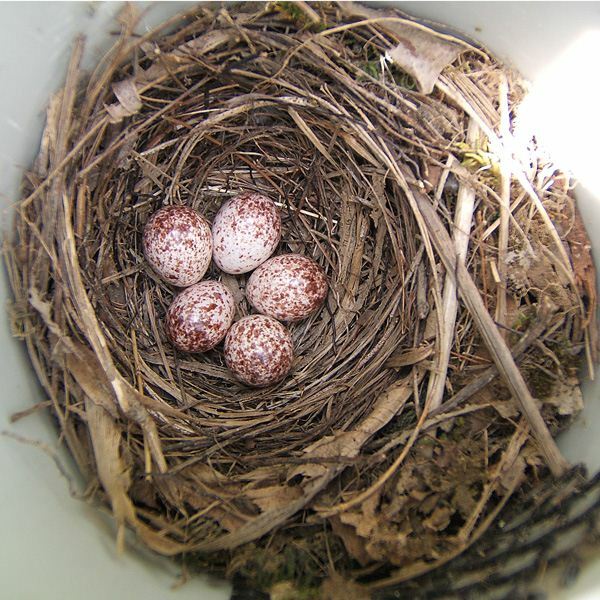 It is okay to remove the sticks you find that have been put in the box but it is illegal to remove the nest if there is a nest cup alone or with eggs present. They breed in North America and winter in the southern U.S. and Mexico. 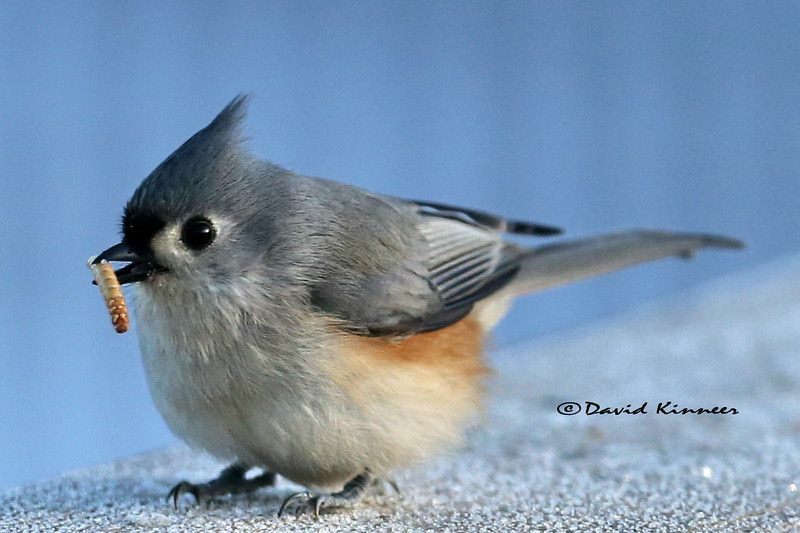 Another cavity nester, the Tufted Titmouse is 6 1/2″ in length. It feeds on insects and seeds. It is gray with orange flanks and a white underside. It prefers natural cavities rather than a nest box 6 1/2 feet to12 feet from the ground. This species feeds mostly on insects and seeds. The titmouse is a loud and persistent singer year round. Its nest cavity is stuffed with leaves, bark shreds, and moss with the cup padded with hair, string or rags and quite often, a cast-off snakeskin. Its 5 or 6 white eggs are speckled with fine brown dots. 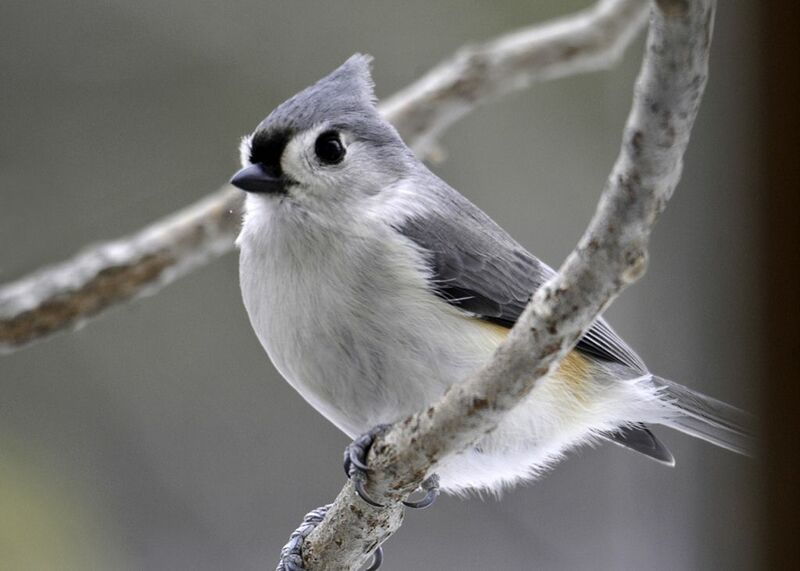 See more photos of Tufted Titmice. 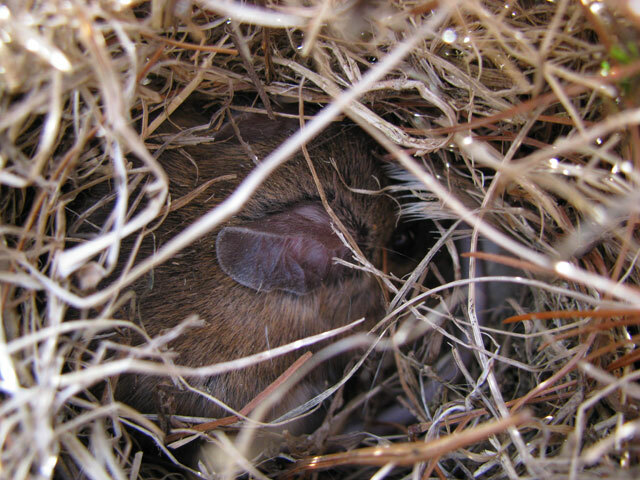 This is another cavity nester that seldom nests in nest boxes. Most of the time it nests in trees preferring rotted out knotholes or similar natural openings but old woodpecker holes are used. It prefers woodpecker holes for nesting. 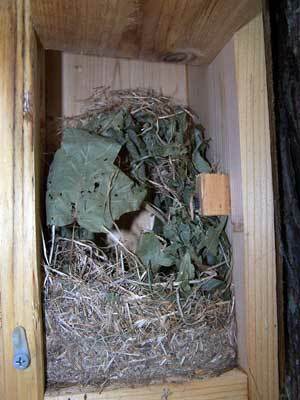 If it should use a nest box, its preferred hole size is 1 1/2″. 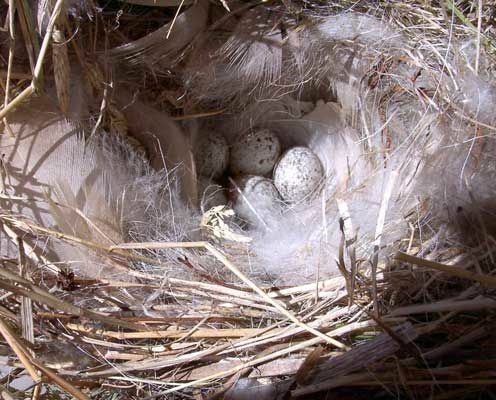 The cavity is first lined with twigs, bark shreds, grass, and leaves with the eggs being laid on an inner lining of fur and feathers. 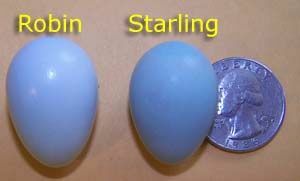 There are usually 5 or 6 eggs, lightly speckled with red-brown and pale purple. 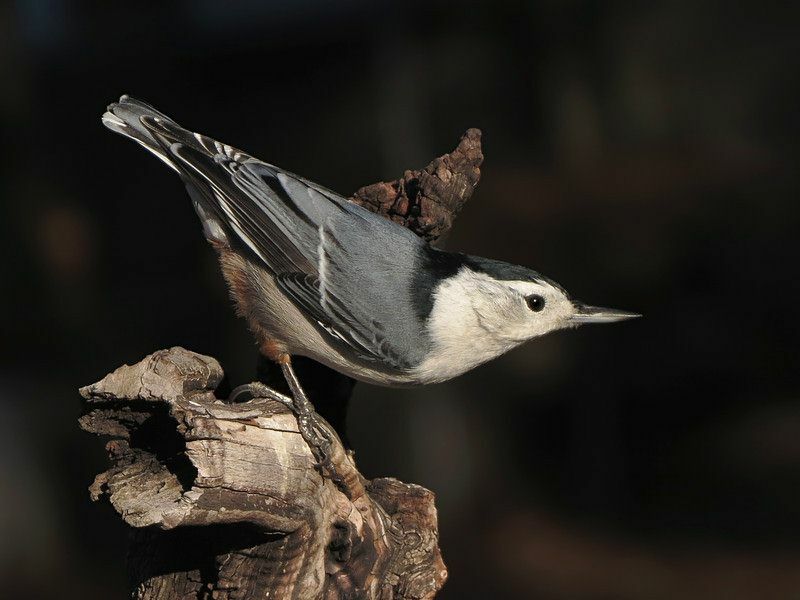 The bird is 5 1/2″ long with a white face and breast, gray back and the male has a black head. The female has a gray head. 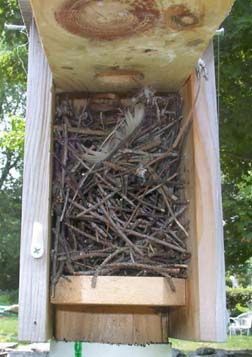 If it should use a nest box, its preferred hole size is 1 1/2″. 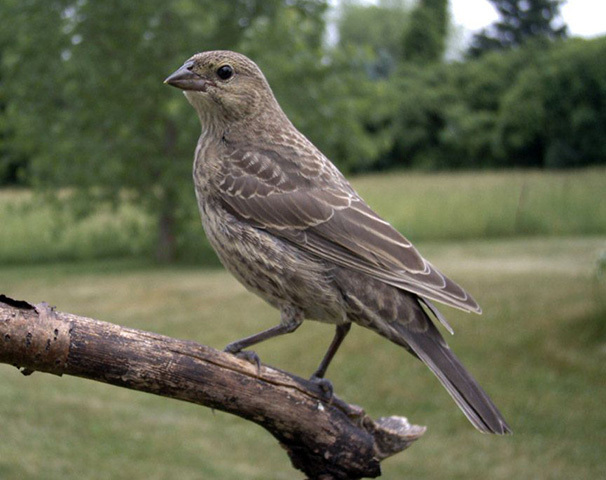 The native Brown-headed Cowbird is 8″ in length. A coffee-brown head of the male is distinctive; the female is gray. 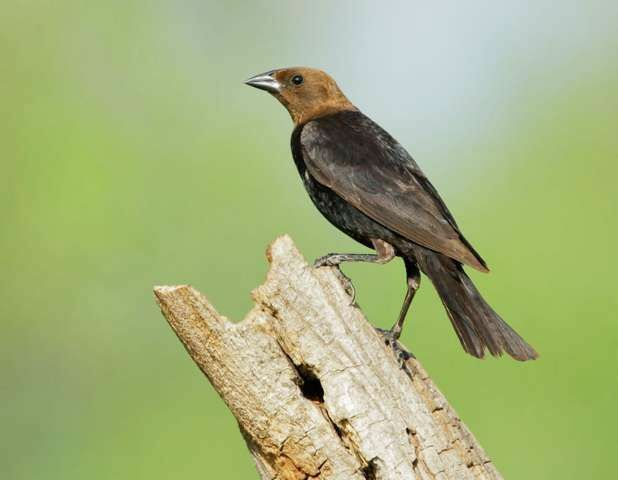 Although the Brown-headed Cowbird is not a cavity nester, it deserves attention by those who provide nest boxes for cavity nesters. 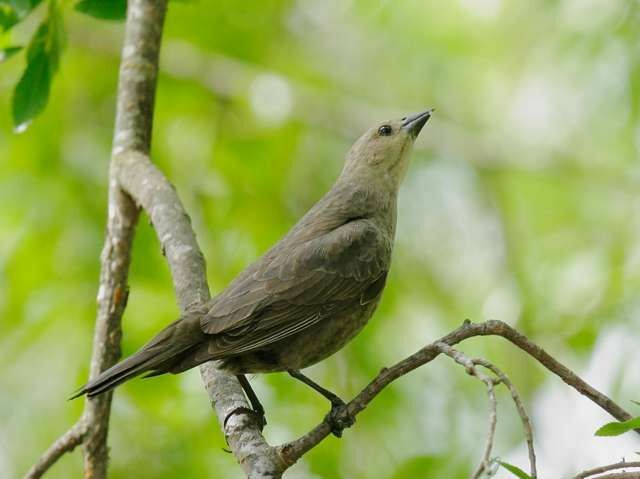 The Brown-headed Cowbird lays its eggs in nests of other species. 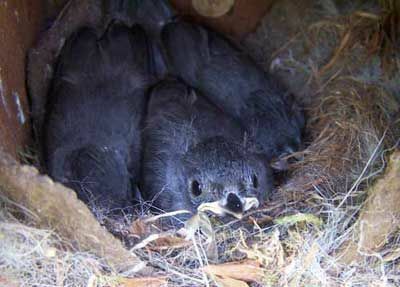 The foster parents end up raising cowbirds at the expense of their own nestlings. Generally they choose open nests of birds smaller than themselves. 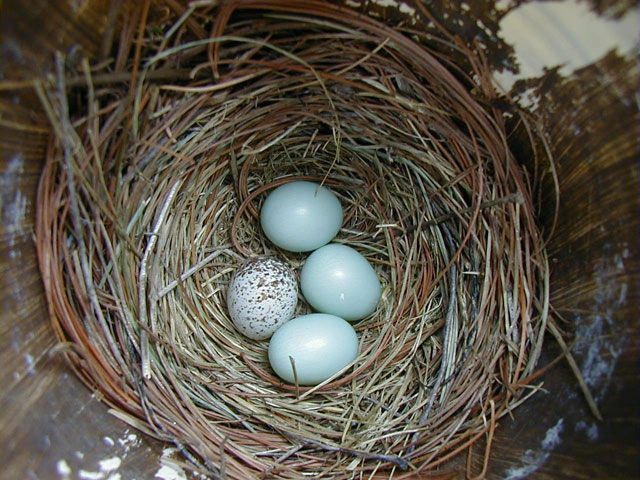 But, the cowbird has been known to “dump” an egg in an occupied nest box. 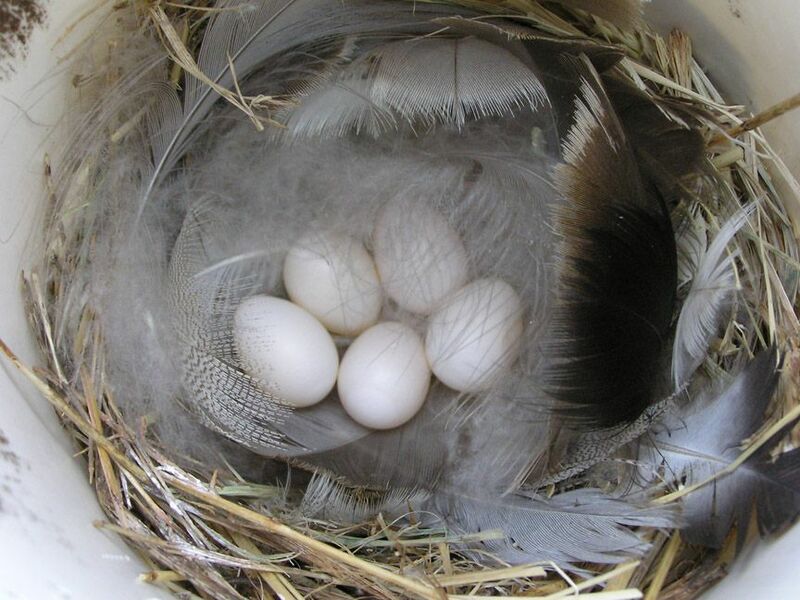 They lay 4 or 5 white, speckled with brown eggs laid a day apart, each in different nests. 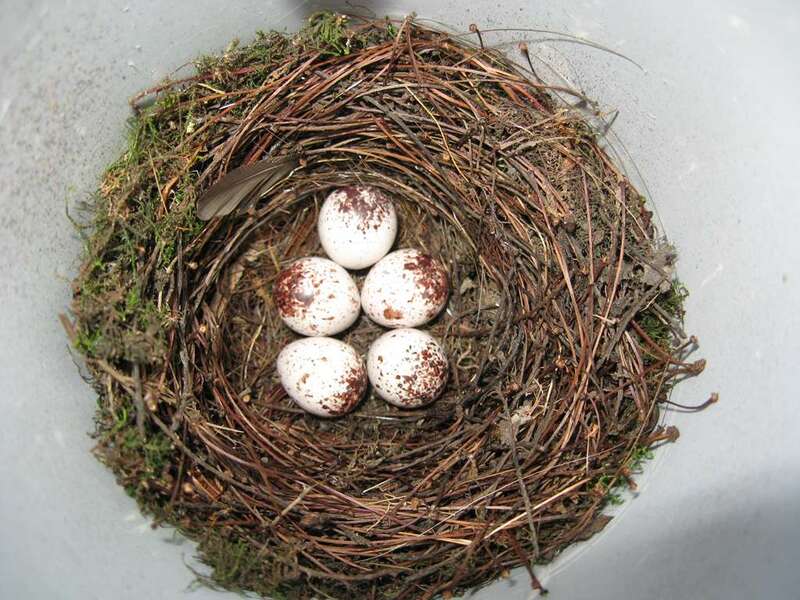 Some birds will throw the eggs out, but most species tolerate them. 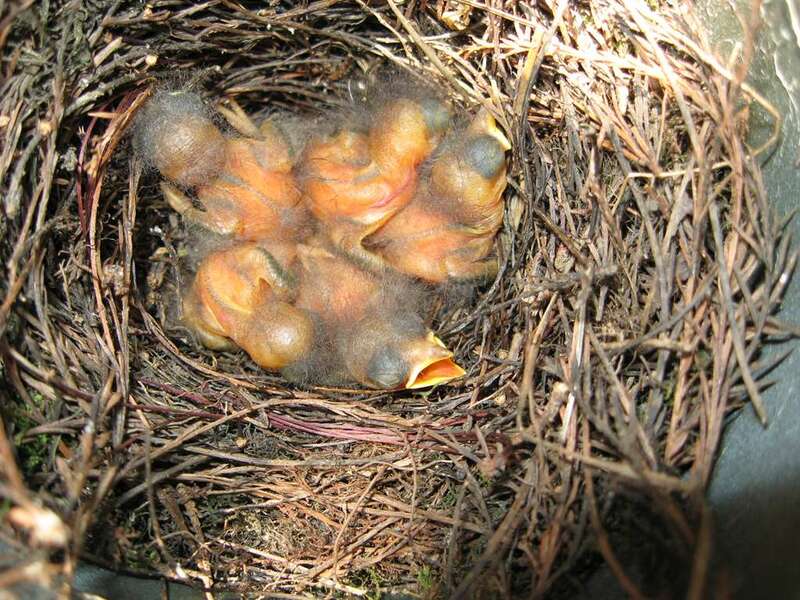 The cowbird chick grows fast and fledges in 10 days. Because it grows faster than the other chicks in the box, it will take most of the food brought to the nest which may cause the original nesters’ chicks to die. 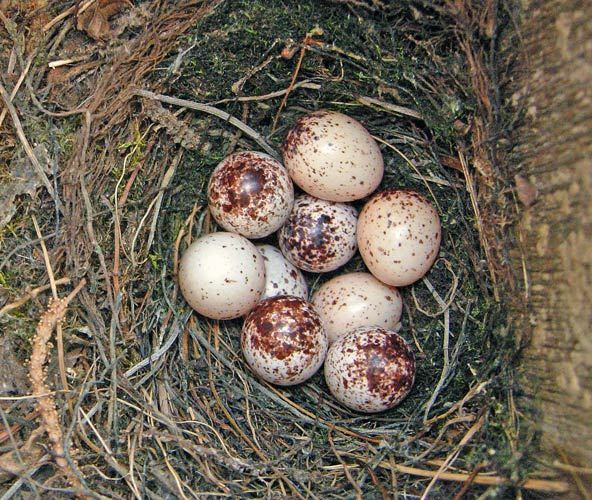 The cowbird is considered a “nest parasite”. 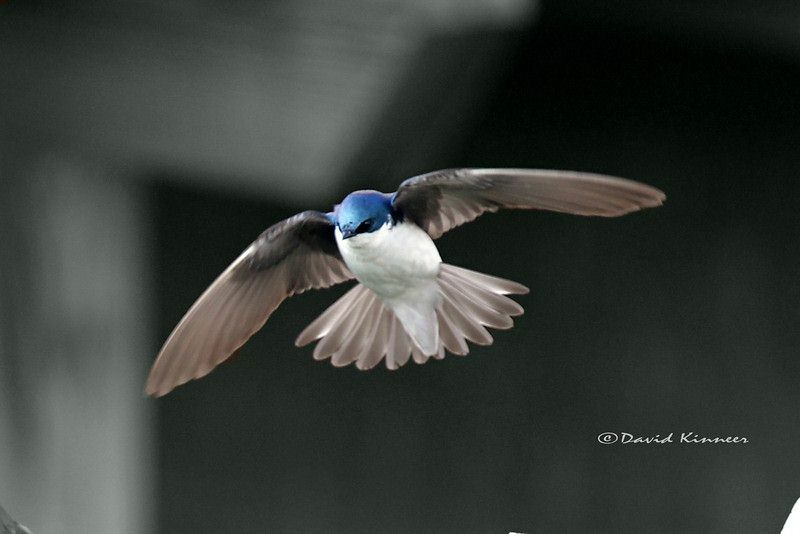 The Purple Martin is a member of the Swallow family of birds. The male is dark, glossy purplish blue. 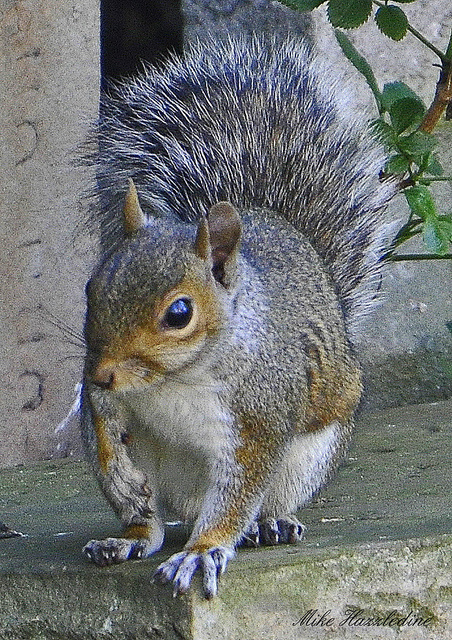 The female and juveniles are gray. The adults are 8″ in length. 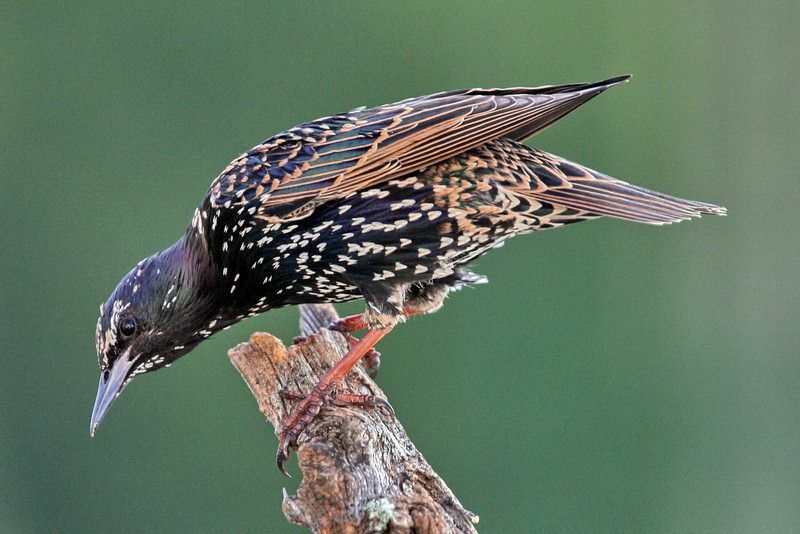 In flight they can be confused with the European Starling. 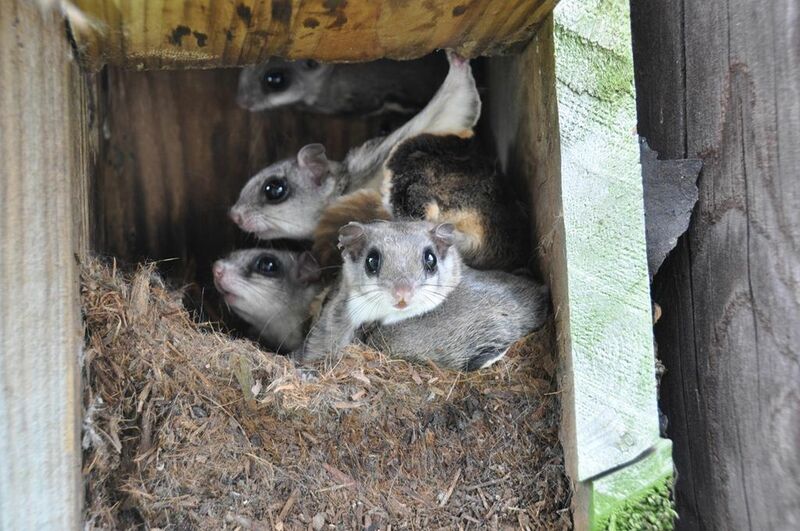 They are a cavity nester whose numbers have decreased due to lack of nesting sites. They are common where nesting sites are available. 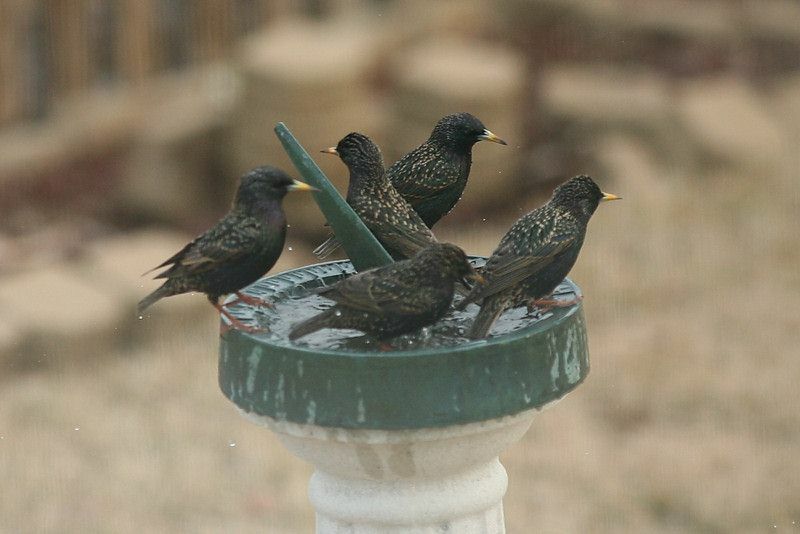 Their voice is described as a liquid, gurgling warble. 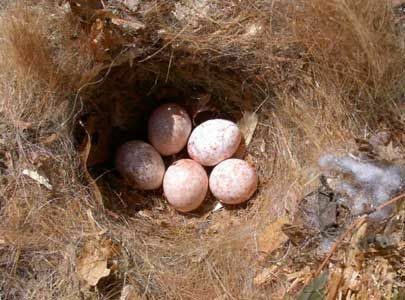 They lay 4 or 5 white eggs in a mass of grass and other plant material placed in a natural cavity – sometimes a hole in a tree – but more often in a “martin house” with many separate compartments where the birds nest in a colony. They winter in South America. 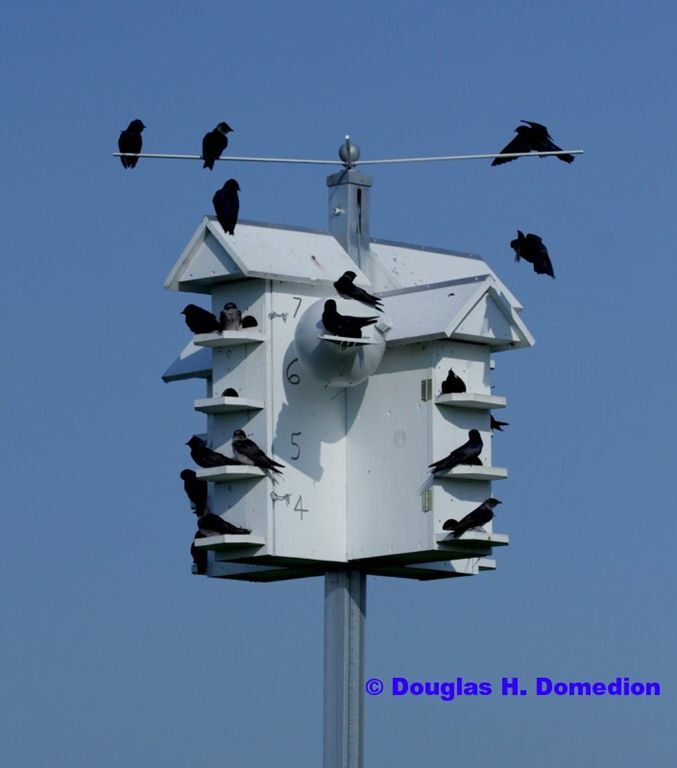 There are many organizations that are working to help restore the populations of Purple Martins. 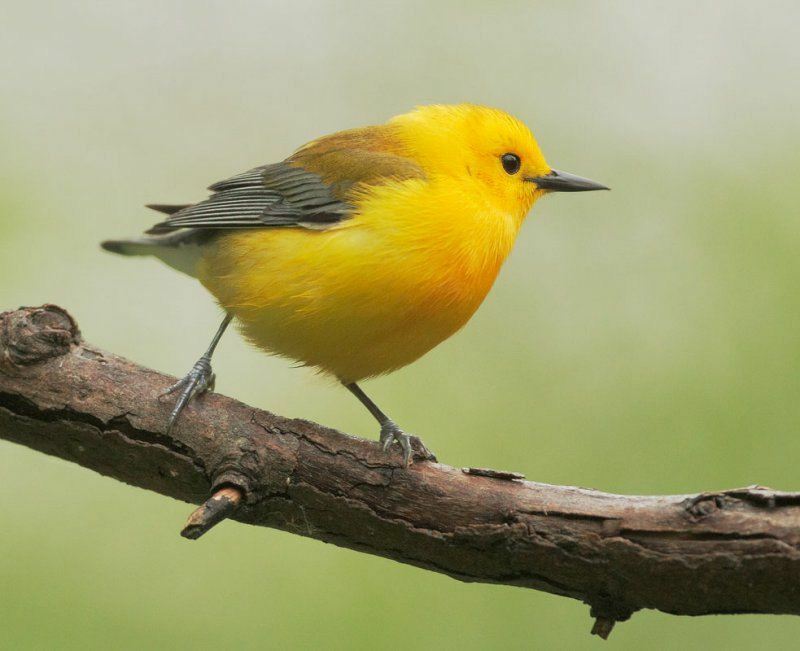 The Prothonotary is 5 1/2″. The male is a golden/orange with blue gray wings with large white spots on its tail. The female is similar but duller. Their preferred habitat is wooded swamps or lowland deciduous forests with ponds or other standing water. 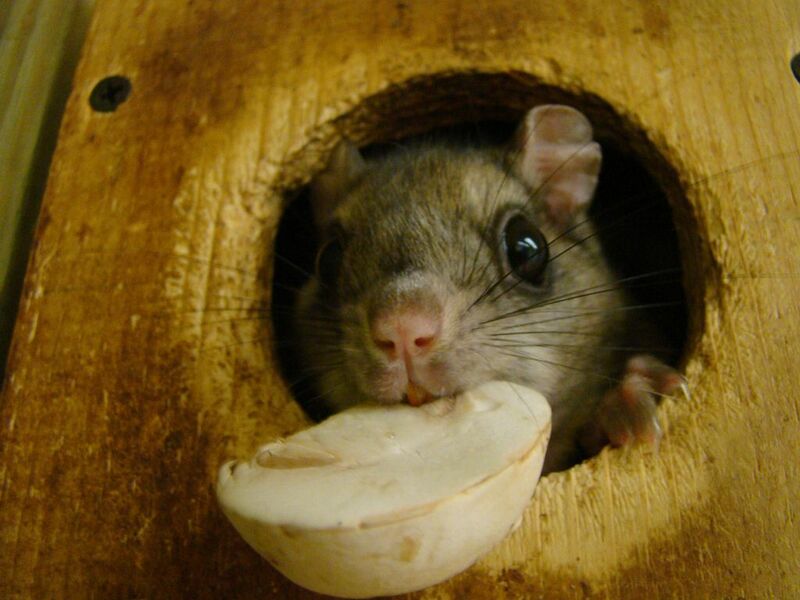 They will nest in a tree cavity, a hole in a stump, a nest box or other man-made objects such as a mailbox. 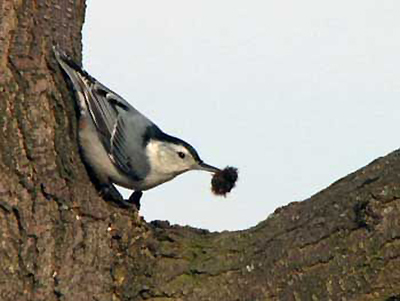 The nest cavity is stuffed with mosses to form a nest cup. They usually lay 6 creamy white eggs with purple spots. 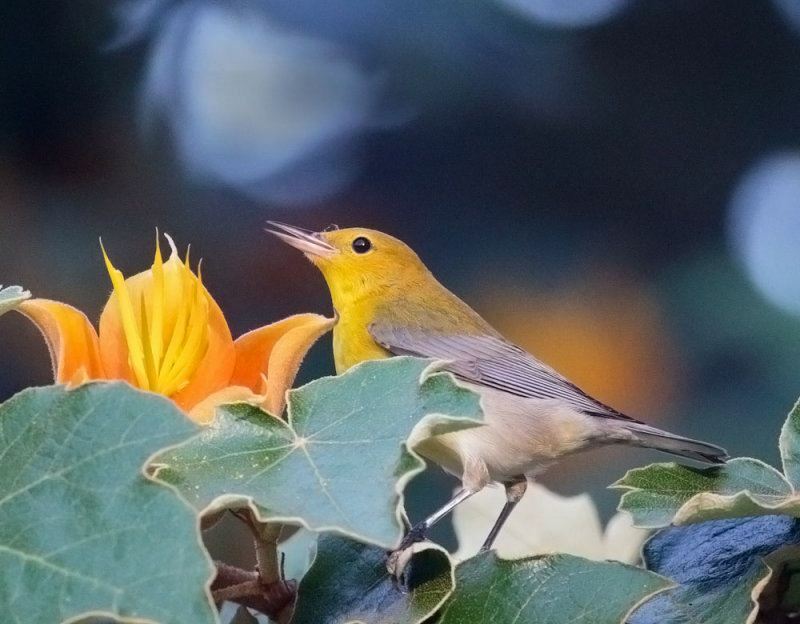 The Prothonotary’s song is a series of high metallic rising notes and a chipping note for its flight call. It is unusual among warblers in that it nests in cavities as opposed to other warblers that usually nest in dense bushes. 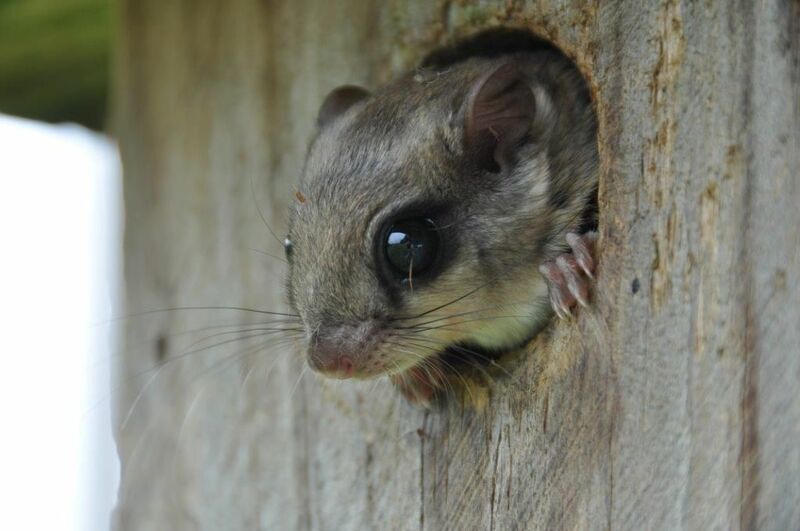 Below are some Non-Avian Species that you may find interested in your nest boxes. 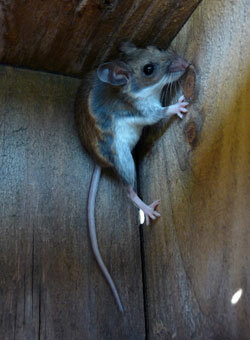 Mice will use nest boxes for winter shelters if the boxes are on poles they can climb. Fence posts and utility poles mice will climb. Conduit poles or water pipes they can’t climb nor can they get around a baffle on a pole. Use caution when the box is opened for the first time in the spring or you may be surprised when a mouse jumps out of the box. Besides the shock of the mouse jumping out, you need to be concerned about the diseases they carry. 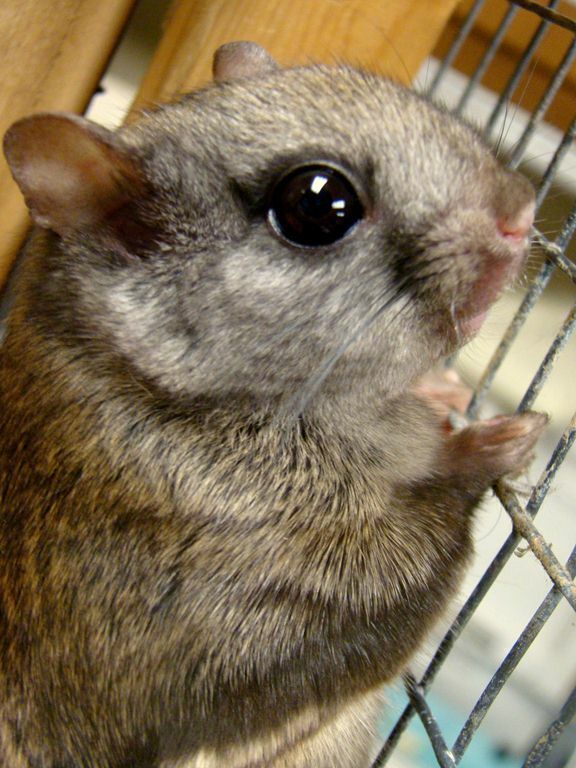 Hanta virus is found in the rodents’ droppings and urine. Just breathing in dust or other airborne particles that are contaminated with mouse waste can infect humans. To protect yourself from becoming infected, experts at the U.S. Centers for Disease Control and Prevention recommend that you make a 10 percent bleach solution and put it in a plastic spray bottle to wet the nest material thoroughly. Let the solution soak into the mouse nest for at least 15-20 minutes before you try to remove the nest material from the box. See The Bluebird Monitor’s Guide, Berger, Kridler, Griggs, 2001. 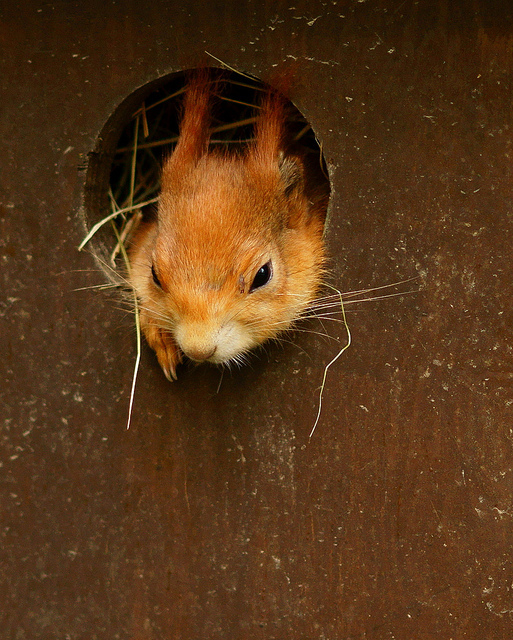 The Red Squirrel is included as an “Other Cavity Nester” because it may occasionally be found nesting in a bluebird box. They are about half the size of the common gray squirrel. They have reddish fur with a white underside. 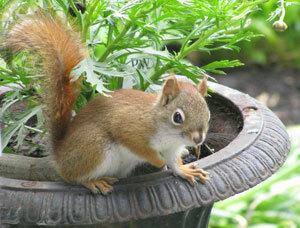 Of all the squirrels, they are the most carnivorous squirrel and will eat birds’ eggs and young birds. Red squirrels can be very destructive as they will chew to enlarge a nest box hole and they may even excavate the inside of the box. 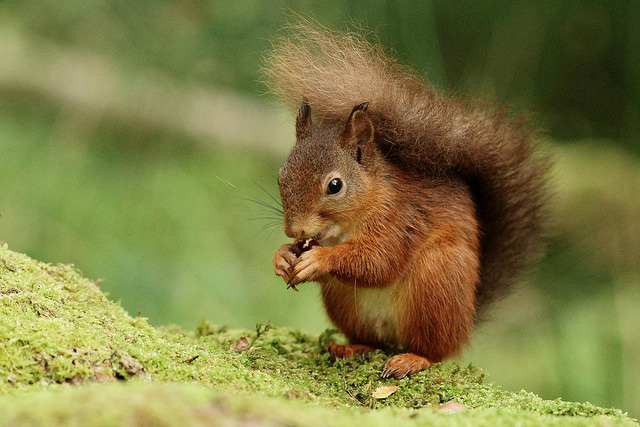 When monitoring, do not put your hand in a box that a red squirrel is in as they have razor sharp teeth. To help prevent Red Squirrels from nesting in a bluebird nest box is to NOT mount a box on a wooden fence or pole; but mount it on a metal pole with a guard. The Gray Squirrel, our most common squirrel in the northeast, and the one seen bounding from one tree to another, is another squirrel that may be found in a bluebird nest box, but only if the hole of the nest box has been enlarged by either a squirrel or a woodpecker. It is important that holes that have been enlarged be reduced with a hole restrictor to a 1 1/2″ hole (or a new front be put on the box) if the nest box is for bluebirds. 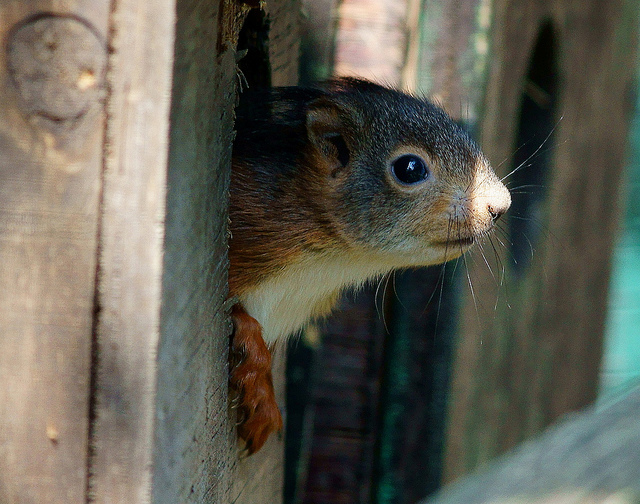 A gray squirrel, if it finds a nest box that it can get into, will most likely enlarge the hole even more for comfort. Do not put your hand inside a nest box without knowing for sure what is in the box. A squirrel has very sharp teeth. 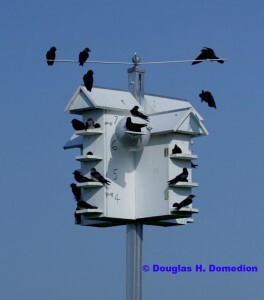 Be sure to mount your nest box on a metal pole with a guard on the pole. The gray squirrel typically nests in a tree cavity or in a nest of leaves seen high in a tree.